Look upon the freckled visage of your new Anne of Green Gables! Deadline reports that Anne, the CBC/Netflix adaptation currently in the works from Breaking Bad writer Moira Walley-Beckett, has found its Anne: fourteen-year-old Amybeth McNulty. She was one of 1,889 who auditioned, said executive producer Miranda de Pencier in the announcement. “She’s riveting on screen, she’s translucent. You can see every thought and every emotion,” Walley-Beckett told CBC News. “This is a very grounded, real version of the story. Life in Prince Edward Island in the late 1800s was a hard, gritty, scrappy life. It was messy, it was covered in red mud,” says Walley-Beckett. Meet back here spring 2017? 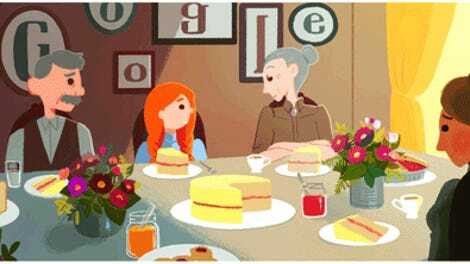 What&apos;s Making Anne of Green Gables Turn Green in the Latest Google Doodle?